Go where your users are: the living room! Google Cast lets users stream their favorite apps from Android, iOS and the Web right onto their TV. Android TV turns a TV into an Android device, only bigger! 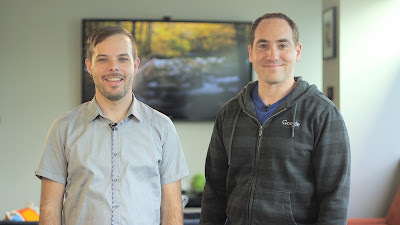 We've partnered with Udacity to launch a new online course - Google Cast and Android TV Development. This course teaches you how to extend your existing Android app to work with these technologies. It’s packed with practical advice, code snippets, and deep dives into sample code. You can take advantage of both, without having to rewrite your app. Android TV is just Android on a new form factor, and the Leanback library makes it easy to add a big screen and cinematic UI to your app. Google Cast comes with great samples and guides to help you get started. Google also provides the Cast Companion Library, which makes it faster and easier to add cast to your Android app. This class is part of our larger series on Ubiquitous Computing across other Google platforms, including Android Wear, and Android Auto. Designed as short, standalone courses, you can take any on its own, or take them all! Get started now and try it out at no cost, your users are waiting!